Invest in a sack truck with pneumatic tyres today for seamless performance and enduring quality – all at low prices, of course. 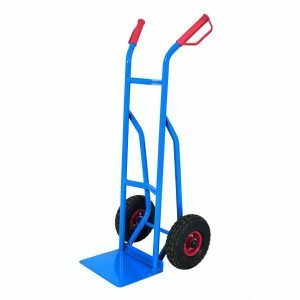 The Pallet Trucks UK sack trucks are renowned for their hardwearing nature and superb performance levels, and combined with prices as low as £57.75, these trucks are the go-to units for workplaces large and small. The trucks can carry loads of up to 350kg, whether it’s heavy boxes or oddly-shaped cargo – they’re quick and efficient, and they can help keep employees safe from injury. The pneumatic tyres give the trucks great balance and easy manoeuvrability, especially on slightly uneven surfaces like loading bays and outdoor areas. 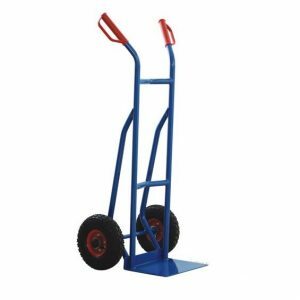 Get your sack truck with pneumatic tyres today from Pallet Trucks UK – guaranteed quality and value every time.